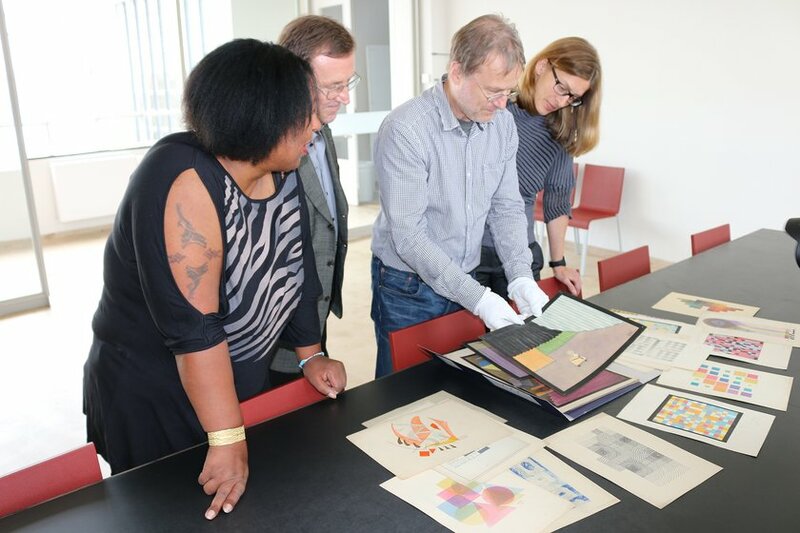 Director Dr. Claudia Perren, collection manager Wolfgang Thöner and archive manager Lutz Schöbe received a great donation from the inheritance of Bauhaus student Hermann Trinkaus on October 9th 2014. Bearer of the donation was a representative of the family friend of the artist. She handed over a total of 32 original works from Trinkaus' creative period from 1927 to 1930 in Dessau to the collection of the Bauhaus Dessau Foundation. Hermann Trinkaus was born on 18th of April 1904 in Leipzig. From 1927 to 1930 he studied at the Bauhaus Dessau under Josef Albers, Wassily Kandinsky, Paul Klee and Joost Schmidt. He spent one semester in the carpentry workshop and worked later on as an engineer for the Junkers Airplane Production. After 1945 he lived in Leipzig until his suicide in 1965. 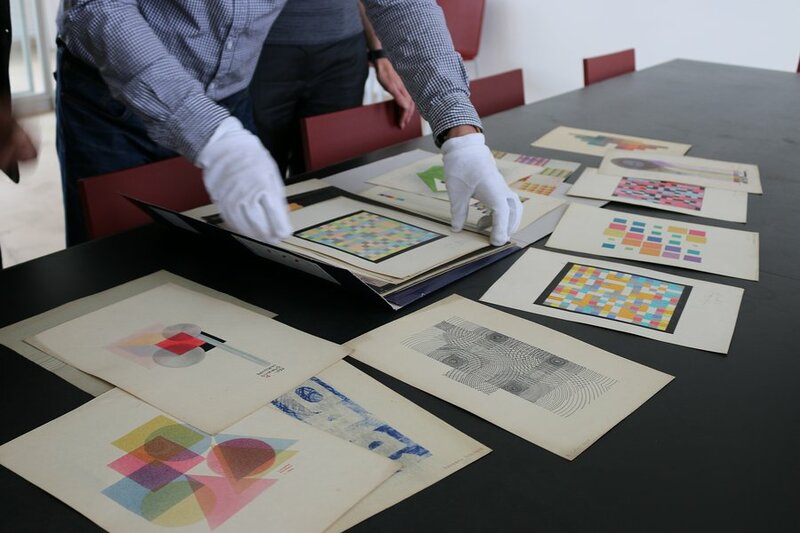 The Bauhaus Dessau Foundation gratefully acknowledges the generous donation of 32 originals, of a still largely unexplored Bauhaus student, which are a great addition to the collection.